Renowned scholar and political activist Norman Finkelstein speaks with teleSUR English about a range of issues around Israel’s occupation of Palestine. The year 2017 will mark the 50th anniversary of Israel’s occupation of Palestinian territories during the 1967 war. 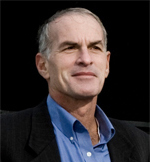 In this exchange with freelance journalist Tommaso Segantini, Norman Finkelstein, renowned scholar and political activist, and author of – among other works – "Image and Reality of the Israel-Palestine Conflict" and "The Holocaust Industry: Reflections on the Exploitation of Jewish Suffering," discusses various issues relating to the Israel-Palestine conflict, including the legacy of the Obama administration, the possibility of reaching a reasonable settlement in the future, and the prospects and strategy of Palestinian resistance. Finally, the past few days the Obama administration has been making a lot of noise over the illegal Jewish settlements. This has to amuse. Obama is shocked that Netanyahu is building a settlement! What has been going on during his eight years in office? He just noticed it now, in the last two months of his presidency? The fact is, Obama is just worried about his "legacy," he wants to have a chapter in his memoirs about how he tried to solve the Israel-Palestine conflict. That is why he is now speaking up about the settlements, and may not veto a Security Council resolution condemning them. He’s just doing it for his memoirs, which will probably run into the tens of volumes. But it’s feasible. Some polls have shown that with sufficient financial inducement, most of the settlers would be willing to leave, because a large part of them are what are called "quality-of-life” settlers, meaning they moved to the West Bank because they were given all sorts of subsidies by the government, housing was cheaper, and so on. A smaller percentage comprise ideological settlers. Even they, if the Israeli army left, would probably pack their bags and head home. The problem, then, is political will.